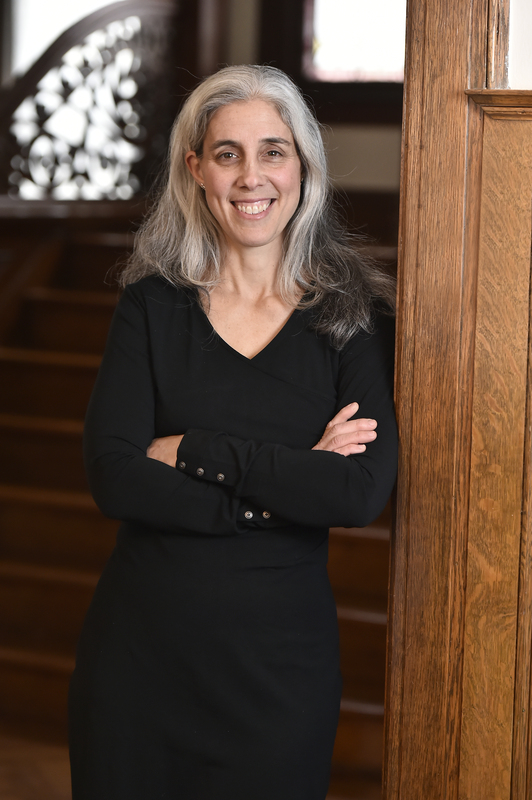 This reading group guide for The Scribe of Siena includes an introduction, discussion questions, ideas for enhancing your book club, and a Q&A with author Melodie Winawer. The suggested questions are intended to help your reading group find new and interesting angles and topics for your discussion. We hope that these ideas will enrich your conversation and increase your enjoyment of the book. After Beatrice Trovato’s brother, a scholar of medieval history based in Siena, Italy, dies unexpectedly, she travels to Siena to take care of his estate. As Beatrice delves deeper into her bother’s affairs, she discovers files from his unfinished research—all of which seem to point to a 700-year-old conspiracy to annihilate the city of Siena. After uncovering the journal and paintings of Gabriele Accorsi, the fourteenth-century artist at the heart of the plot, Beatrice finds a startling image of her own face in his work and is suddenly transported to Siena in the year 1347. She awakens in a city on the eve of an unimaginable disaster—the Plague’s imminent arrival. Yet when Beatrice meets Accorsi, something unexpected happens: she falls in love—not only with Gabriele but also with medieval life. As the Plague and the ruthless hands behind its trajectory threaten Beatrice’s survival and the very existence of Siena, Beatrice must decide in which century she belongs. 1. Discuss the significance of the title. Does it give you any insight into Beatrice’s priorities throughout the novel? How do you think she would choose to identify herself? 2. On her first morning in 1347 Siena, Beatrice goes to the Santissima Annunziata where she hears a prayer she remembers from Catholic school. She says, “It was nice to hear the familiar words; that familiarity and sense of belonging across centuries was one benefit of religion.” What other benefits, if any, does religion offer the people of Medieval Siena? 3. Albizzi warns Iacopo that his knowledge places him in danger with the Confraternity. What makes Albizzi issue this warning? What does Iacopo know that places him in danger? Do you think that the members of the Confraternity have used Iacopo for their own means? If so, how and why? Why was Iacopo so willing to go along with the Confraternity’s scheme? 4. Giovanni de’ Medici’s absences “provided a certain relief” for his wife, Immocolata. Why does Immocolata feel this way? Describe Giovanni. Did you think he had any good in him as a husband or father? Explain your answer. 5. When Beatrice first sees Gabriele, she says that seeing him “as real as my own solid self, unnerved me.” Why is seeing Gabriele unnerving for Beatrice? What were your first impressions of Gabriele? Was he as you had pictured him? 6. Beatrice says “oddly enough, I felt more at home in the scriptorium of the Ospedale Della Scala than I had almost anywhere in the past month, even in my own time.” Why do you think Beatrice is able to find refuge in the scriptorium? Describe Beatrice’s duties as a scribe. What benefits does working as a scribe afford her? 7. Discuss the epistolary elements of The Scribe of Siena. Were you able to gain any additional insight into the characters through their letters? If so, what were they? How did the letters help further the plot? 8. Describe Beatrice’s relationship with Gabriele. Did you think that they were well suited for each other? In what ways? Gabriele asks Beatrice, “What is a husband for, if not to comfort you.” What roles did a spouse serve in Medieval Italy? Were there benefits to being married? What were they? 9. In a letter, Ben jokes with Beatrice that “I try to get into people’s heads too, but my subjects are already dead.” Are there any ways that the work of a surgeon is similar to that of a historian? Describe them. Does Beatrice’s background as a neurosurgeon help her as she investigates the high levels of the Plague in Siena? Does her medical background help in any other ways in Medieval Siena? What are they? 10. Were you surprised by Gabriele’s reaction when Beatrice shares the truth about her origins with him? Why or why not? In her gratitude, Beatrice tells him “the last thing I’d imagined in return was sympathy.” Why does Gabriele correct her, telling her that he’s responding to her disclosure with “empathy”? How have Gabriele’s actions demonstrated that he is able to empathize with Beatrice? What effect has keeping her origins hidden had on Beatrice? 11. Umilitá tells Beatrice, “The Pestilence has brought its share of regretful behavior in its wake, but I would not have imagined it from you.” Why does Umilitá believe that Beatrice has been callous toward Gabriele. Do you agree? Why or why not? 12. When Beatrice is not able to open her mind to the perspective of another, she “supposed it was safer to be free of it. If safety was my goal.” What is Beatrice’s goal? Why might she miss her extreme sense of empathy? Are there any benefits to having it? How does it help Beatrice both as a surgeon and in Medieval Italy? 13. Beatrice says, “I was beginning to realize that it was never quite safe to make assumptions about Clara.” Do you agree? What were your initial impressions of Clara? Did your opinion of her change? In what ways and why? Beatrice posits that Clara has been able to survive so long as an orphan because she has learned “to make her rescuers feel at ease.” How is Clara able to make her rescuers feel comfortable? Clara has also been able to survive by making herself indispensible. How has she been able to accomplish this feat? 14. Compare and contrast Beatrice’s life in present day Italy and New York with her life in Medieval Siena. What are the advantages to staying in each time period for her? What would you choose and why? Were you surprised that Beatrice made the choice she did? 1. Beatrice recounts how she and her brother would visit the Cloisters on Sundays and how “the Unicorn Tapestries were always my favorite. This is probably true of all kids who visit the Cloisters.” Visit the Cloisters virtually and learn more about the Unicorn tapestries: http://metmuseum.org/exhibitions/listings/2013/search-for-the-unicorn Discuss them with your book club. Why do you think that Beatrice liked the tapestries so much? 2. Beatrice says, “I’m cautious about who I get recommendations from, but Nathaniel knows how to pick a book, at least for me.” Discuss how you get book recommendations with your book club. Go through your last few book club selections, taking the time to talk about whether or not you would recommend them to others. 3. When Donata’s family gives Beatrice a Civetta scarf, she is overcome with gratitude. Why is the scarf such a meaningful gift to Beatrice? Do you own any objects that have particular significance to you? Tell your book club about them. Congratulations on publishing your first novel! What’s been the most rewarding part of the experience of publishing The Scribe of Siena so far? Was there anything that surprised you about publishing fiction? The most remarkable thing about the publishing process is that the story I’d been telling—first in my head, then on the page—left my head, and my pages, and got into someone else’s head. Many other people’s heads! Being read by someone other than my limited self is the magic that makes my words take flight. The exhilaration of having someone gasp at a plot revelation, or fall in love with a character who was born in my imagination, or stay up all night reading words that kept me up all night writing—that makes all the hard work worthwhile. Writing is an unimaginable delight, but being read . . . well . . . being read is beyond belief. You’ve written forty-eight nonfiction articles and book chapters throughout your medical career. How was the experience of writing fiction different? What made you decide to write a novel? I have to say, I really love these questions. They all get right to the heart of my experience, and it’s very satisfying to think about them and arrive at the answers. Actually, as of a few months ago I’ve written forty-eight (and I’m working on submitting number 49, which I’m submitting for the FOURTH time—talk about never giving up!). There are some definite similarities in the process and some drastic differences. The similarities: I’m a research scientist (and a doctor). The way I do scientific research goes something like this: I come up with a question I don’t know the answer to. I try to look up the answer. If I don’t find an answer, I look harder, and in more sources. If I still don’t know the answer, I ask colleagues with expertise. If no one knows the answer, or even better, if there is disagreement, or even controversy about the answer, that’s when I know I’ve found my next research project. That happened with The Scribe of Siena; the minute I started thinking and reading about Siena as a foundation for a story, I started running up against the question of why Siena fared so badly during the Plague. And I didn’t find an answer—or I found conflicting answers. That became the historical question at the center of my story. Now, in scientific research, my job is to explore the uncertain systematically, and be absolutely true to fact, or to experimental results. But in fiction . . . uncertainty is a foundation for invention. That means I get to make things up. And that is intensely pleasurable—the absolute antidote to my satisfying but highly structured, scientific work, in which I never get to make things up. What made me decide to write a novel? I was in a funny time in my life. We’d just sold our house, and bought a new house but it needed renovations so we moved into my mom’s apartment—“we” meaning me, my spouse, and our three kids. We lived with her for two months. Almost all of our belongings went into storage, and I moved into my childhood bedroom. During those two months my spouse, who is an ex-professional violinist, was working on a Stravinsky trio four hours a night, and I was left to my own devices. I was between books—not reading anything, and missing the feeling of being in an absorbing story, at the same time as being in a limbo of life stages too, between homes. I’d always written—since childhood and through high school, college, and after that—short stories and essays, and I’d even made notes for a novel when I was fifteen before I realized I was too young to write it. During those few strange months where I was longing to be absorbed in a story, in a deep, compelling imaginary world, it came to me that I wanted to MAKE my own story, not READ one. So that’s what I did. As a debut novelist, do you have any advice for aspiring writers? Is there anything that you wish you had done differently in hindsight? First: Write for the joy of it, not to please some imagined audience or market. Don’t worry if people say “no one is buying historical fiction [insert your genre here],” or “no first novelist should write a book over 400 pages,” for example. Both those things were said to me, and I ignored them. You should write your story because you love it or must write it. There’s no point otherwise. Second: Never give up. NEVER NEVER NEVER give up. The only thing that will ensure your failure is if you stop trying. What I wish I had done differently . . . at first I said—I’ll never write a book blind like this again, without a clear plan and detailed outline right at the beginning. But I’m not sure I really would have done it differently. It was exhilarating, the free fall into fiction, into a story that evolved as I wrote it. And to some extent, I don’t think it is possible, at least not for me, to really plan fully before writing. Most of what actually happens in my stories happens on the page as I start to write, and even when I think I’m going to plan, the outcome eludes me until that magic moment, and things surprise me that I didn’t know might happen as the words start to appear in front of me. That’s part of the mystery and pleasure of writing. Can you tell us about your writing process? The Scribe of Siena is intricately plotted, moving seamlessly between two time periods. Did you know how Beatrice’s story would end when you began writing? The quick answer is . . . no. And yes. I knew some things, but many things were obscure to me. I liken it to driving in the dark, in a snowstorm. You know where you are heading, and you can see a few feet in front of you. But the road appears as you go, and sometimes you take a wrong turn and end up somewhere you didn’t expect, or maybe it wasn’t a wrong turn but you can’t tell until you go miles down that road. Some scenes I wrote very early on, knowing they would be in the book, and they stayed (like the scene where Gabriele and Beatrice hold hands for the first time). Sometimes a character would show up and I would have no idea why—like Bartolomeo. It was years before I fully knew why he was there and what role he would play in Beatrice’s life. I knew they would have a special connection, that he would be porous to her empathy, and that she would help him with her entry into his mind. But I didn’t know where it would lead. Some scenes I wrote early on never got into the book at all. Some came, then left, then came back. They all give the story depth, whether they are there or not—invisible layers that make it richer even if they are not read. In present day New York, Beatrice works as a neurosurgeon. In addition to being a writer, you are an associate professor of neurology. Are you similar to Beatrice in any other ways? If so, what are they? This question gets at one central autobiographical issue—not just about being a doctor and a writer at the same time but about the possibility of being a doctor first, THEN leaving the doctor’s life and becoming a writer. Beatrice leaves her medical life and moves toward writing. People are always asking me whether I’m going to “quit my job and write,” which doesn’t really make sense to me, since medicine and science are fundamental to who I am and influence how I write fiction. I have the privilege of being allowed into the most intimate and powerful moments of my patients’ lives, and I also work at the edge of scientific understanding on a daily basis. This is deeply rewarding. But writing fiction exerts a powerful pull on me, and the pull is not always in the same direction as the rest of my work. It’s a challenge, that balance, that I can’t say I find easy! So there was a deep satisfaction in allowing Beatrice to leave the medical world, to choose writing a history instead of taking it. Ben articulates that for her, and it’s one of the key lines in the book for me. Other ways I’m like Beatrice? Oh, millions of ways! But here’s a funny thing: Someone quite close to me once told me that Beatrice was funnier than I am. How is that even possible? How unfair? She IS me! How can she be funny if I’m not funny? I MADE her, for heaven’s sake! That is one of the odd things about fiction. I’m not Giovanni either, but he must be in there somewhere. . . .
As Beatrice settles into her life in Medieval Siena she grows to find pleasure in “something intangible, a surprisingly pleasurable medieval-ness.” From your writing, it’s clear that you also value the “pleasurable medieval-ness” Beatrice describes. What attracted you to this particular historical period? I’ve been entranced with medieval life since I was a child. I read eight different retellings of the Arthurian legend, and even played king Arthur in my girl scout camp drama production. I remember getting a set of calligraphy pens and bottles of ink and practicing forming the medieval letters (not unlike Beatrice)—I fantasized for a while about a life sitting in a quiet room illuminating manuscripts. Once, when I was very young, younger than four, I told my parents I wanted to be a nun. I remember that not going very well since I was growing up in not only a relatively secular household but also a secular Jewish one. The impulse to the contemplative life wasn’t religion though, it was something else. When I was little I couldn’t articulate what it was I loved so much, but now I’ve managed to get a firmer understanding of what I found so compelling about the idea of living a medieval life. Some of the attraction comes from any time far enough into the past not to be modern. Modern life is fast. It prides itself on speed and efficiency. Fast food, fast delivery, fast transmission of information. This is all useful, but it is not pleasurable. When I was writing The Scribe of Siena I studied historically accurate medieval Italian recipes and held several dinners based on traditional dishes and menus—poratta, lasana fermentatam, limonia of chicken, pumpkin tart . . . these are even more delicious than they sound. I spent three days preparing for the first meal I ever served: making almond milk from scratch to thicken sauces, squeezing bunches of grapes with my hands to make pink garlic sauce, steeping wine with galangal, cinnamon, ginger, and honey for the hypocras. Three days of cooking and a six-hour, luxurious, slow dinner for seventeen people, with music and flickering candles and the feeling that the evening need never end. Three days to prepare a dinner--and I was using an oven and electric equipment! I loved the slowness, the physical immersion in the process of cooking for people I loved. This encapsulated much of what I see as a major contrast between the medieval past and our fast-moving, convenient present. Sometimes I feel that there is hardly any time to taste what you are eating, let alone enjoy it, or the people you are sharing a meal with. 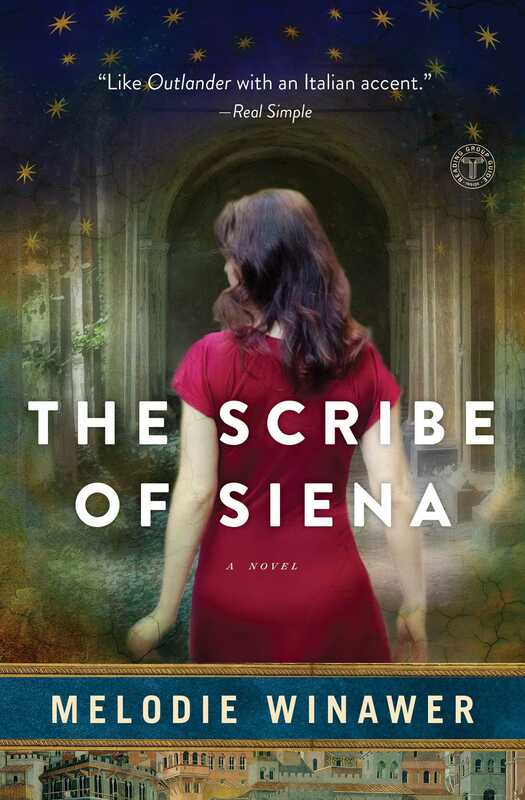 The Scribe of Siena has been compared to Outlander and The Time Traveler’s Wife. Were those works inspirational to you? Were there other books that inspired you? Can you tell us about them? Inspirational is an understatement! It is absolutely mind-boggling to be compared to Diana Gabaldon and Audrey Niffenegger, both of whom I (and I am certainly not alone in this) think of as luminaries of fiction, particularly in the absorbing, believable, and emotionally gripping portrayal of love across centuries, transcending the traditional shape of time. I stayed up all night reading both Outlander and The Time Traveller’s Wife, and I would be honored if The Scribe of Siena affects readers even a fraction as much as those books affected me. One of the most inspiring things about Outlander wasn’t the story itself, it was Gabaldon’s trajectory—the way she started writing, the way she continues to write, the way her life has evolved into that of a celebrated novelist. She was a scientific writer who knew she wanted to write a novel. She wrote without asking anyone how, because she had a story she wanted to tell. She had a bunch of kids, no time, and another job. She didn’t get an MFA, join a writer’s group, write essays about point of view or narrative structure. She had no extra time but she used the time she had. When I read why she chose historical fiction it was so like what I had said that I laughed out loud. I knew how to do research already so that’s what I did. If Gabaldon can do it, I can do it too, I thought—with my scientific career, my medical life, my three kids. And I did. I wrote on the subway during my ridiculously long commute. I wrote after the kids were asleep, in the passenger seat of our minivan on the way home from a trip upstate. I wrote whenever I could, hungry for every moment I had. And when I couldn’t write, the story hummed in my head. Do you have any favorite moments in The Scribe of Siena? What are they? I absolutely loved writing the wedding night scene—I really enjoyed the combination of the tension of Gabriele and Beatrice’s challenging conversation, the clash between their two worlds, and their desire for one another. I also loved writing chapter 9—Beatrice’s return to modern life, that underlines her longing for the Medieval life she left behind. That was probably my favorite to write. It was hard too, though, figuring out the balance of the mystery and the emotion, and how to make her decision make sense. I really like the scene in the elevator, when Beatrice dreams about Gabriele, and reflects on how he becomes part of the objects around him, how much he would like that. This comes from a real experience of my childhood. My grandmother died when I was fifteen, and I missed her all the time. We’d been very close, talked a lot, traveled together, went to museums—she was an amateur late-life historian who loved art and must have instilled a lot of that joy in me. After she died I had recurrent dreams that would take place in the elevator of the apartment building where I lived, and we would meet there. I’d update her about my life, and I knew instinctively in those dreams that elevators were a place between the world of the living and the non-living, where we could connect and still share our thoughts. . . . It was strangely reassuring at the time. I would say, if one of my children asked me now whether that was magic, that the mind creates wonderful ways of solving problems of emotional loss that are magical . . . it was certainly that for me. Finally, there’s a paragraph that is easily missed but is one of my favorites because, although it is ostensibly about Gabriele’s process of painting, it actually describes my experience of writing. What would you like your readers who are interested in Medieval Italy to take away from The Scribe of Siena? I like historical fiction because I want to bring the past to life. I don’t just want to write about history, to record what happened. I want to give readers (and myself!) a way to sink into history—to be time travelers, like Beatrice. I want my book to help people go to Medieval Siena, not just read about Medieval Siena. I want my readers to feel transported, to believe that it is possible to move from one time and place to another, and even for just a moment, to believe that these invented people are real, the way I did while writing it, and in some ways still do. I want to provide a bridge into a living, breathing past—a past that might even coexist simultaneously with the present. Yes, yes! Always—if not on paper then in my head. At the moment I’m working on a novel set in late Byzantine Greece. If focuses on the now abandoned city of Mystras, in the Southern Peloponnese, which is mostly in ruins, but still standing. You can walk through its streets, into the churches and crumbling houses, the great fortress on top of the hill at the foot of the Taygetos mountain range—and of course I have walked through it—it’s even more magical than it sounds. It has a mysterious, tumultuous history, with moments of great triumph, as the center of the late Byzantine empire after the fall of Constantinople, and also great despair. I seem to keep coming back to this question of the shape of time, and how the past and the present intersect—that plays a role in the story I’m writing now too. But I can’t say more at the moment—it’s too early.